Dealers said the ringgit opened slightly higher against the US dollar this morning. At 9am this morning, the ringgit was quoted at 3.0540/0570 against the USD, versus Tuesday’s close of 3.0560/0580. 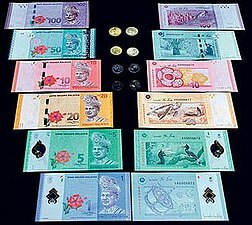 A dealer said that there are some bargain hunting activities in the market to spur the ringgit, which had suffered losses recently. Regionally, the ringgit was mixed against other major currencies. MYR rose against the yen to 3.0663/0705 from 3.0969/0005 on Tuesday but depreciated slightly against the British pound to 4.6519/6570 from 4.6503/0540. The ringgit was also slightly lower against the euro at 3.9696/9744 from 3.9670/9702 yesterday but was higher against the SGD at 2.4599/4633 from 2.4621/4651.